LifeProof, a California-based maker of protective cases and other smartphone accessories, today released a super-tough case for the iPhone X. 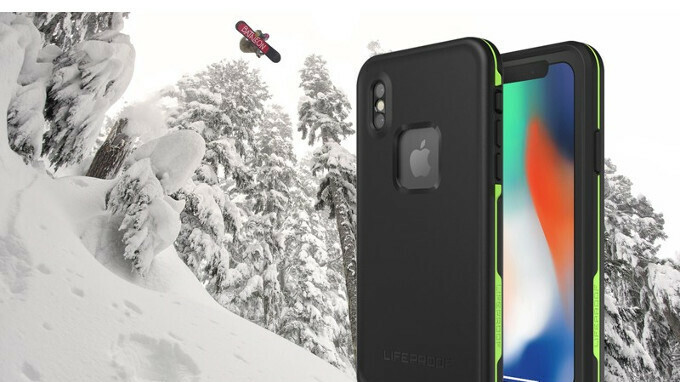 Called LifeProof FRE, the new case will make sure that your iPhone X survives even in extreme environments. The LifeProof FRE case for iPhone X protects the handset against drops from up to 6.6 feet (2 meters), comes with a built-in screen protector, and is sealed to keep dirt, snow, and debris away. What's more, the LifeProof FRE enhances your iPhone X's water-resistance. Normally, an iPhone X can survive under water up to 3.3 feet (1 meter) for 30 minutes. With a LifeProof FRE case on, the smartphone will be safe up to 2 meters under water for 1 hour. Priced at $89.99, the LifeProof FRE iPhone X case is available in six color variants. You can order the case from LifeProof's official website - see the source link below. Each LifeProof FRE case comes with 1-year warranty, and is shipped for free within the US. So, any buyers here? Who still trust & buy iPhone after they betrayed our trust? No one and Apple will be ruined soon!!!!! All tech companies at some point haven’t done right by us and Apple is no different. The iPhone is a great device and compare to other OEMS, Apple has done almost everything to make it perfect. So, you’d rather have your phone randomly shut down and die than the manufacturer taking initiative to prolong the life of the phone? The X is too pretty to put in an ugly case like that.